FoxPDF PowerPoint PPTX to PDF Converter, PowerPoint to PDF Converter, Convert PowerPoint to PDF, Convert PPT to PDF, Convert PPTX to PDF, PowerPoint to PDF, etc. 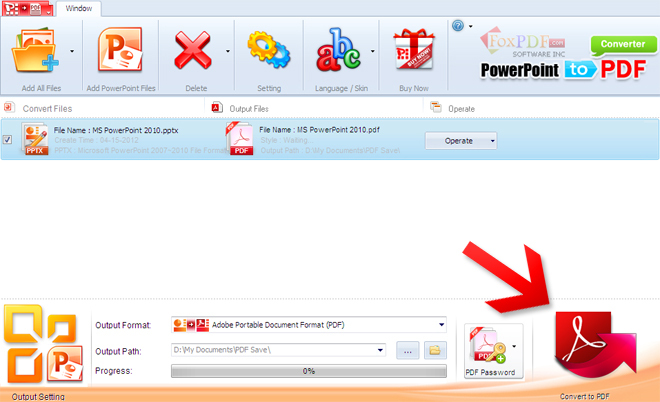 You can convert PowerPoint 2010(PPTX) to PDF with FoxPDF PowerPoint PPTX to PDF Converter. You can convert PowerPoint 2007(PPTX) to PDF with FoxPDF PowerPoint PPTX to PDF Converter. 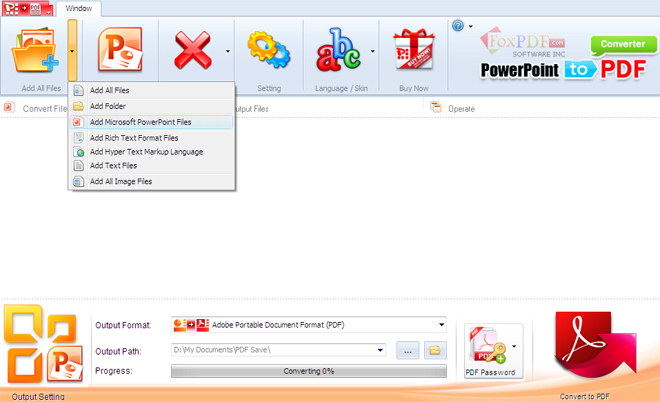 Now let's focus on how to step by step convert PowerPoint PPTX to PDF with the FoxPDF PowerPoint to PDF Converter.